greatest ideas are those born from necessity & collaboration. Web design tends to be a taboo topic for most business owners. Whether it’s from personal experience or a friend sharing their web design horror stories, business owners often fear the worst. The truth is, most web design companies have made that fear a reality. High prices, red tape, and a lack of results have left most business owners dissatisfied. We don’t believe web design should be hard, and we have a few things we do to ensure that it isn’t. Often, this is the most vague part. You don’t know how much it should cost, so you rely on the design firm to tell you. Most firms will set up a meet-and-greet, sit down with you for an hour or more discussing what you want, and then send you off to wait for a quote. You’re left waiting for a week, possibly more, only to find the website you wanted is way out of your price range. We make sure you know the price up front. Making changes to your site should be easy. Often designers become inaccessible once a project is completed. At Hivemind, we’re just an email (or phone call!) away. There are plenty of people with the skills needed to design a logo or build a site, but skill alone is not enough. Without a creative vision, your project is just skill stacked on effort. We’ve got the expertise to not only build what you need, but also design what is best for your company and customers. We’re an intentionally small company focused on working with clients we believe in, and in turn providing them with materials that will realistically improve their business in the future. If that’s something that sounds good to you, we’d love to work with you. 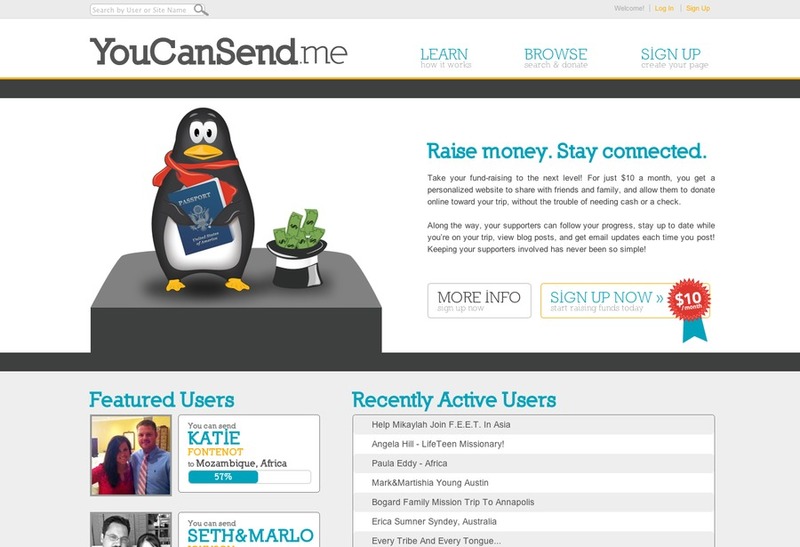 This is a screenshot from a fund-raising network we designed and developed.